The Niagara Falls PowerHawks return to action for the 2018-2019 NA3HL hockey season September 8th with a home tilt against the Cape Cod Islanders. Gametime is set for 6pm. The team will face off against the same Islanders team Sunday at 1pm. 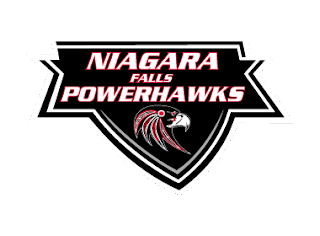 The PowerHawks will play their home games at the Hyde Park Ice Pavilion in Niagara Falls. Led by head coach, Kevin Orzechowski and General Manager, Frank Vecchio, the team is looking to build upon last season’s success. The PowerHawks will once again compete in the Northeast Division, joined by familiar foes, Binghamton Junior Senators, Oswego Stampede, and Skylands Kings. The Roc City Royals folded after the end of the season in March. The PowerHawks finished second in the division last year to Binghamton. There will be more games added in place of the cancelled Rochester games. The complete schedule can be found on their website, www.nfpowerhawks.com. All times and dates are subject to change.